We understand that losing a pet can be a very sad and stressful time. We are here to help make this time of mourning as easy as possible. If there is anything we can do to help, please do not hesitate to contact us. Paw To Heart The Long Island Veterinary Specialists Center,www.livs.org, 163 South Service Road, Plainview, NY, at 8 PM in *The Conference Room. Groups are open to anyone dealing with the loss of an animal companion through death or separation. They also address euthanasia, terminal illness and quality of life issues, and universal grief. Groups are 'supportive' in nature and not to be confused with 'traditional therapy.' We ask that all prospective members call prior to attending. Telephone and E-mail counseling is available in the interim. Animal Love and Loss Network is a group who works with an open dialogue and free exchange of ideas by a network of caring individuals, dedicated to helping themselves and others better understand and move through the pain of loss and grief. 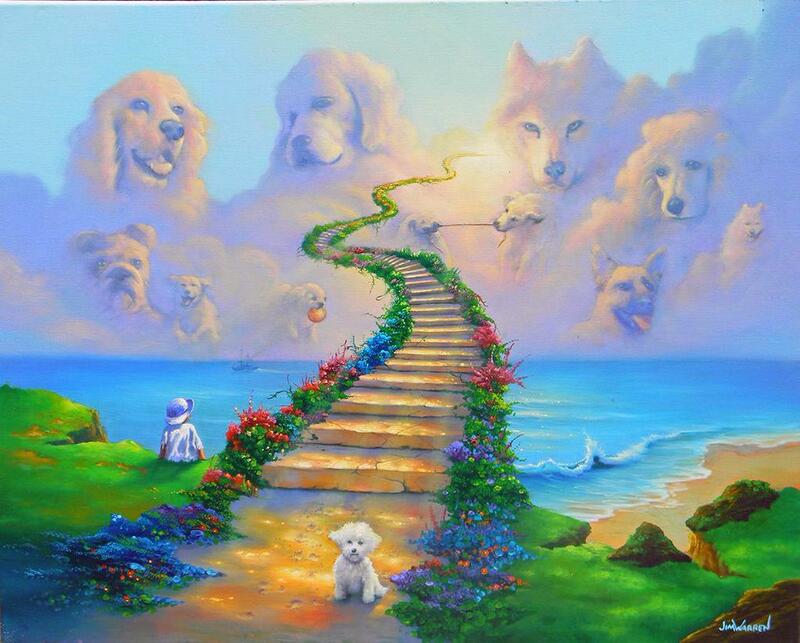 "Just this side of heaven is a place called the Rainbow Bridge.